Or 6 payments of $46.67 with What's this? The Welton Pindot Jacket is part of our newest suiting collection. Think of these as your building blocks. 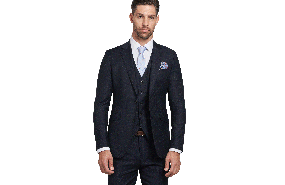 Attractive fabrics and artful details make these suits the right kind of different. They will liven up your day-to-day uniform, and take you from one occasion to another. We’ve refined the fit but maintained the quality so you can keep looking your everyday best. It has a modern fit to enhance your natural shape and still crafted from 100% wool with Super100 fineness, making for an incredibly light, smooth but durable suit. Or 6 payments of $12.49 with What's this? The Welton Pindot Waistcoat is a classic part of our range of 3 piece suiting looks. It's made from Barker's premium fabric featuring a subtle texture throughout the fabric. Wear it to instantly up your game for any event. The Welton Pindot Trousers are made from the same quality fabric as it's matching jacket. It's woven from 100% wool with Super100 fineness, making for an incredibly light, smooth but durable suit. Featuring a lining down to its knee which reduces friction meaning a longer lasting trouser and more comfortable wear. It is recommended to compare measurements against a garment you already fit. You want to make sure that the back of the suit is not pulling as this is an indication that the jacket is to small. Barkers can help with any tailoring needed, eg; Hemming. Take your suit to any store, or use click and collect to pick it up there and have our tailoring experts make sure your suit fits 100%. 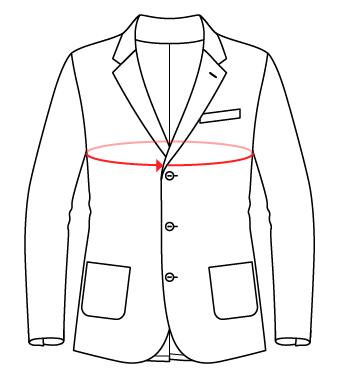 Turn around on most tailoring is +-1-2 days, depending on the work being done, costs are not included in the price of suit purchases.